Dad died Monday, morning at 8:12 am, officially anyway. I arrived at the hospital just after 8:00 and called Kate and Larry at the house at 8:06 that they needed to come right away. Even as I said those words, I knew he would be gone before they arrived. Dad’s brother and his wife left just before 8:00. Larry is just arriving here. Kate and I are drained. I will comment later on the service and reception. Though no one can predict when Dad’s journey will end, today it is clear to everyone that he has turned a corner leading down the pathway to the end. Yesterday Dad was awake and continuing to drink his orange juice, tea, and Coke. He was weaker, and he had a hard time talking. He would say something with a reasonably strong voice, and then have to rest. During the resting time, he might try to mouth words but couldn’t get them out. As the day progressed, he seemed to drift further away. He did drink 2 bottles of Kellogg’s Special K Protein Shake, each with 180 calories but solid food was on the way out. He was awake when I arrived this morning. He recognized me and wanted to speak but had a hard time getting out any words. I brought up the subject of his party and told him when I dropped by Starbucks this morning and that a friend had heard that the party was a great success. As I reminded him what a good time we had had, he said, “all the grandchildren were there.” A little later he was remembering his days on the milk route. I understood very little of what he said. It took almost an hour for him to drink the orange juice that comes with his breakfast. Usually he drinks the whole glass quickly. Later he drank some Coke. Otherwise, he has shut down on eating and drinking. Oh, I forgot, he also ate a container of yogurt. That said, Larry and I feel he has made the shift from fighting to live to moving on to the end. The hospice nurse, came by. She quickly came to the same conclusion. I asked her once again how long he might have. She hesitated to predict but thought that it was a matter of days. I asked about the possible transfer to back to Mountain Valley at the end of the two-week period on in-patient hospice. She said that because of the leg problem she had decided that that is not likely. Mountain Valley probably would not be able to take care of it in the same way they can here. She didn’t say, but it was implicit in her comments, that Dad is not likely to live long enough to necessitate a move back to Life Care. So how am I feeling now? On the whole, I am feeling much better than this time last week. I believe that is a result of two things. First, I have been grieving for a week. I think it is only natural that grief resides after a while. Second, during the week we have had some very special moments. One of those was Monday when he was both alert and talkative. Then on Tuesday he was talkative and happy even though he was partially delusional. Even Wednesday when he was wiped out for having been awake for some 36+ hours, he seemed at peace. It has only been yesterday afternoon and today that he has shifted back to looking like he is leaving us. This morning when I was with him by myself I choked up as I spoke to him. At that time he recognized me. Just a short time then he became unresponsive. A moment ago I spoke to him through his hearing device (so I know he could hear me), and he showed no sign at all that he heard me. That was how he was when one of his friends from his writing class came by this afternoon. As Larry left, we were both choked up. It made me wonder if I am up to teaching the Sunday school class this Sunday. I had planned to do so. Finally, I called Don Barton this afternoon to ask if he would be my back-up in case something happened that I could not make it on Sunday. I am planning to teach on grief. Last week I was too emotional to do it. This Sunday I believe I can handle it and that it would make the lesson more relevant since I am going through the grief process myself. I should say a number of people have asked how I am doing. I really do believe I am doing well. I also suspect that some think that I am in denial. Yesterday Dad was sleep a lot. That is not surprising given that he had been awake for as much as 36 of the preceding hours. He continued to be weak and was not eating solid food. He drank some orange juice, Coke, and had a small spoonful of apple sauce. He continues to be without pain. I am beginning to adjust to the new situation. I feel I have been going through the natural process of grieving since last Friday when we decided on hospice. At that time it was difficult for me to control my emotions. On Saturday when I was preparing my Sunday school lesson (on grief of all things), I realized I was not in shape to teach. I called someone to take the class for me. Since then Dad has bounced back a little and then fallen back a little. I am planning to teach the class this Sunday. I feel strong enough to do it now. Today Dad was awake when I walked into the room. He is still too weak to talk much, but he is comfortable. He is still not on pain medication. Last night, however, I had an experience that confirms what we all know – that it is best to have a patient advocate in the room at all times. His nurse came into change the dressing on his leg. She said she needed to go back and get the morphine. I asked why, and she said it was to prevent the pain. I told her he didn’t have any pain. She said that when she touched his leg earlier she thought he had been in pain. I told her that he hadn’t expressed feeling any pain. I told her I did not want him to receive morphine until he really needs it. I don’t want him to suffer, but I don’t want him to start on morphine that would lead to his being unconscious. I asked her to put that instruction in his chart. I also communicated that to the “charge” nurse and will do the same with the hospice personnel. This past Monday morning at 6:20 am I received a call from Mountain Valley saying that Dad’s leg had swollen during the night, that it had developed blisters, and that the doctor felt he should go to the hospital for treatment. I concurred. When I saw his leg, I understood why they had wanted to do so. It was partially blackened from blood. The leg was swollen more than I had ever seen before. Subsequently I have heard doctors say it was the worst they have ever seen. They took him off Lovenox and put him on heparin. Then his hemoglobin dropped even lower than it had been in August when he was here. I had already made arrangements for Kate and me to go to Nashville on Thursday to see Aida. Larry came over to relieve me. Friday while we were doing some shopping before returning to Knoxville Larry called to say he had spoken with the doctor. She had given him the news that there was little they were able to do for him except something extreme like amputating the leg and that he was too old and fragile for this. Thus hospice was recommended. We came on back to Knoxville where Larry and I talked and quickly agreed that hospice was the only sensible thing to do. He left for Atlanta, and I told the on-call doctor that we wanted to move forward with hospice care. Even though that would not officially happen until yesterday afternoon, they quickly shifted their care of Dad to keeping him comfortable and making sure he suffers no pain. Ironically, he has not had pain and is not on any pain medication. It has amazed the doctor. I spent the entire day with him yesterday. I emailed three of his good friends to tell them they could come by to say their goodbyes if they wished. One of them came by yesterday afternoon. Another may drop by this afternoon. We have someone coming in at 7:00 pm each night and staying until 7:00 am. She had taken care of Kate’s mother for 5 years. She was the weekend day shift person, but she filled in when someone else had a conflict. I should make a personal note about how I am feeling. My rational, logical side knows that this is a good thing – not that he is “sick” – but that this means the vascular dementia initiated by his stroke 3 ½ years ago will not lead him to a vegetative state. In addition, he would want to go out with a flare. For the past 12 months he (and I) lived for his 100th. There were times when he wondered if he would make it. He did, and it was everything we could have wanted. It was a great celebration of his life, and now he can go in peace. Now for the emotional side. I find watching him die is emotionally draining. I find myself moved to tears through the day. I have tried to tell him I love him and that he was a good father. I have done so, but each time I have done it through tears. As I have read him email from friends, I have broken down in tears. When I have talked with the staff here, I end up in tears. Last night Kate and I went out for a late dinner. By that time I was feeling like I had gotten the tears out of my system. Then I came in this morning. He is so weak he can hardly speak. Periodically he is able to get out a word or two, but it takes all the strength he can muster. He is hungry, but it is getting difficult to swallow. I gave him a piece of peach which he wanted. Once in his mouth, however, he couldn’t swallow it; so I asked him to spit it out. He gets worn out after eating or drinking anything. He asked that I lower his head. For some reason he never likes the head of the bed raised. At the hospital and at Mountain Valley, they always want it raised a little. He always asks me to lower it. After eating or drinking, his breathing gets more strained. I think that is because he aspirates some of everything that he swallows. He has done so since the stroke. Fortunately, it has not been so bad as to lead to pneumonia which is the expectation. Yesterday when I spoke with the doctor, she said she thought he couldn’t survive more than 2 days to a week. This will be another blessing. We had a great 100th birthday party for Dad on Saturday. A total of 94 people were at our house to help us celebrate. Dad was in rare form as I interviewed him about his life. The night before we had dinner with the family, and I also interviewed him for about 30-45 minutes. Yesterday Kevin and his family along with Ken and Virginia went out to visit Dad. He was still alert and able to talk and answer questions about his life. I had received a call from Life Care on Friday night telling me they had diagnosed a blood clot in his lower left leg and were starting him on Lovenox. This morning around 6:20, I received a call from Life Care that his leg had continued to swell, that it had begun to blister, and that one of the blisters had popped. They felt he should go to the ER. I agreed; so here we are. It’s now 10:01 am. They have found that his white blood cell count is 20,000 and have requested antibiotics to address the problem. It looks like he will be here a few days. Now for the second, and bigger, surprise. Yesterday afternoon Ken asked if I could take him to Lowe’s to get something for Kate. When we got in the car, he said there was another reason he wanted us to go out – that he wanted to talk with me about something. Then he said, that he and Virginia had noticed some differences in Kate. When he said that, I immediately choked up and couldn’t talk. As we started to drive away, he said that he had been diagnosed with dementia in April of this year. I choked up again and told him that I had wanted to let him know about Kate, but she didn’t want anyone to know. After going to Lowe’s we went to Panera for coffee but especially to chat a bit. We decided to have a conversation with Kate and Virginia after we got home. At home he told Kate that he wanted to talk with the 2 of us a moment and broke the news to her. I never let her know that I already knew. Kate then told him that she has AD. That led to our bringing Virginia in to talk with us. We then had a good conversation for perhaps an hour. It was good to talk with them. I was the tearful one as usual. Ken, Virginia, and Kate seemed to handle things well. Later Kate and I talked about feeling better that Ken had told us. Personally, I feel closer to them now that we have shared our information. I told Virginia this morning on the phone that we will walk this journey together. The past few days Dad has had his ups and downs. This past Friday, he called Larry and me. He sounded coherent, but he said he didn’t know where he was. As usual, I assured him he was at Mountain Valley and that I would be there in the afternoon. He said he was all right. He seemed quite lucid at dinner. I had a good visit. Yesterday when I arrived, he was up and in his wheel chair but sleeping. He woke up right away when I spoke to him. Before going to the dining room we went back to his room where I put a couple of bananas in his top drawer. Then he needed to go to the bathroom. He asked me if the birthday party was still on. I told him it was and asked why he asked. He said, he thought it supposed to have happened but didn’t. I told him we had 3 weeks to go. He also said something about how good it was to see me and that I hadn’t been out all week. I told him I had been there every day. He said he couldn’t remember my being there. I joked with him that he was giving me an easy out now. I could come only once a week and he wouldn’t know the difference. I brought him a couple of hot dogs and some yogurt. He ate it all and enjoyed it. As we sat together, I told him that we might consider my interviewing him at his party so that he didn’t have to try to remember any prepared remarks. He seemed to like that, and I started a trial interview. He repeated what a good life he has had. We talked a little about the ups and downs of life. I asked him what the most difficult time of his life had been. He thought a moment and said, “I guess when my father left us.” I said, “Tell me more about that.” He said, “Well, I guess I was ashamed.” This is the very first time I have ever heard him say anything this self-revelatory. I have long suspected that he was hurt by his father’s departure from the family and knew that he had explored trying to find him when I was about 12 years old. I asked him about any school teachers that he recalled. That led to his mentioning somebody in his junior high school who had taken an interest in him. He said it was in the 8th grade that he developed a personality. He went on to say that he thought his personality throughout his adult life and today was shaped by those days in the 8th grade. As we talked he asked me, “Do you think I’m getting senile?” I said, “no, I wouldn’t say that. 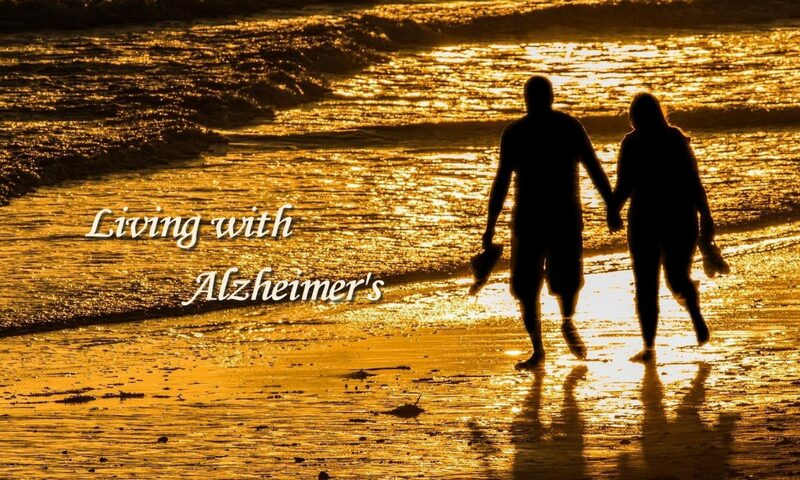 I would say that your stroke has affected your brain and that makes you confused sometimes and causes you to have some delusions.” Then he said, “I’m not ashamed of my dementia.” I told him there was no reason to be ashamed, that many people suffered from dementia. Our conversation went on perhaps a total of 40 minutes or so before we went back to his room. We both felt good. He commented again on how glad he was that I had come out. When I tucked him into bed, he thanked me again and told me that I had taken good care of him. I told him we had done it together. He said, “Well, you’ve done three-fourths of it.” I told him, “We have walked a long way on this road, and we’ll walk the rest of the way together.” I left feeling very good. Last night around 10:30, he called and asked if I were coming to pick him up. He thought it was time for the party. I reminded him that we have 3 more weeks. Then he asked, “Is Elizabeth here?” Elizabeth is an Eastern Star friend who is driving up from Gainesville, Florida, for the party. So he continues to show more confusion than is normal for him. Once again, I think this is going to become common in the days ahead. I am thankful for the special moments like yesterday afternoon and will try to remember them rather than the down times. Last week was an especially good one for Dad. He was more awake when I arrived and quite alert – not as energetic as he used to be but in good shape. I enjoyed my time with him. Saturday while Larry was visiting for the weekend, we brought Dad to the house where we showed him a video of him that was made the morning of his 80th birthday party. He talked extensively about his life. We brought him into the bedroom where we have a larger TV so that he could see better. He couldn’t hear well; so I would tell him what he was saying. The video captured his attention even with his bad hearing. It was almost 2 full hours, and he never tired of watching. I haven’t seen anything maintain his attention like this since before his stroke over 3 years ago. It also led to his telling us more about his life experiences. He remembered a great many things. We were excited. It was a very special moment. Starting Sunday (this is Thursday) he has been less energetic. Each day has witnessed a downward progression. Yesterday was the worst. He was just the way you picture the stereotype of a nursing home patient. He didn’t know where he was and asked his nurse to call me. He was not easy to understand, but told me he didn’t know where he was. I told him he was at Mountain Valley and that I would be there to see him in the afternoon. Even after my telling him, he continued to say that he didn’t know where he was. He ended up giving the phone back to the nurse to give me directions to where he was. She told him I knew where he was. He got back on the phone, and I tried to reassure him I would be there. Much of my observations have focused on specific instances of the progression of Kate’s AD or specific examples of her symptoms. Today I would l like to give a general appraisal of how things are going with Dad, Kate, and me. First, a comment on Dad. After Dad returned from his most recent trip to the hospital with bleeding ulcers, he was incredibly lethargic for a few days. I’m not sure, but this may have been a result of the anesthesia he received before they performed the endoscopy that enabled them to diagnose his problem. Even now some 2 weeks later, he is not back to normal. The major symptom is that he is harder than usual to arouse when I visit him. Yesterday, he asked me if I could talk with the doctor to ask if it would be all right for him to sleep more because he didn’t want to get up. He thought he might be better off to sleep more. I talked with him about this at dinner. I told him he needed to get up it was good for him to get up and to eat and that he would deteriorate if he just stayed in bed all the time. He seemed to understand this and did not object. Although he has for a long time had good days and bad days, it seems like he has greater swings recently. Some days I come home very upbeat over his condition. Other days I am low. I am also noting more memory issues. He even forgets his speech therapist’s name sometimes, and she is a very special person to him. In fact, about 10 days ago, he remembered her husband’s name but couldn’t remember hers. He also slips on the name of his writing teacher as well as two members of his Sunday school class. He apparently had a dream recently about visiting the home of one of them. He seems to recall it was a very large house and that she has something to do with Mountain Valley. I think he may have been trying to convey that she was doing the laundry for Mountain Valley. Although he still talks about his upcoming birthday, he doesn’t seem to be as energized about it and is not making as many suggestions about things he wants done. This does not mean he has stopped completely. The other day he told Larry that he wants to have name tags on each of the roses he distributes to the ladies. He also continues to surprise me by asking about my staff and Gordon Seacrest. He clearly has not withdrawn from the world around him. Turning to Kate, I would have to say that she continues to get along pretty well even though she experiences some discouragement over her condition. I have always noted that the person (in this case, Kate) with AD knows far more than most people believe and experiences frustrations related to her condition. I am beginning to notice that she has less concern about some things that would have been an issue before. For as much as the past year or so, I have noticed that she does not notice spots on her clothing that would have bothered her before. When she rinses dishes, she does a horrible job. She seems less concerned about how she dresses. The other day we went out for lunch and she didn’t wear a bra. That’s something that she would never have done before. She finds it even harder to accomplish various tasks. Last night while she was working on a Word file in preparation for a program she is doing for PEO next week, she was frustrated and said, “I just can’t do anything anymore.” This type of frustration is what, I believe, leads her to spend so much time puttering in the yard. She has been out there for almost 2 hours already this morning. Even though we are having hot weather, she goes out periodically during the day. She gets so hot and dirty that she comes in and takes a shower. Sometimes she takes as many as 3 showers a day though his is not typical. She as commented to me that she doesn’t know what she does when she is out there which is to say that she doesn’t believe she can recite a long list of things she has accomplished. Perhaps that is why I feel she just finds it something she is able to do without making any mistakes or having someone telling her she is not doing it the right way. So how am I doing? Like Kate, I am doing well overall; however, I am having my own frustrations. For example, I have to be more attentive to her schedule and provide help in making sure she doesn’t miss appointments or commitments she has made. As I left Dad yesterday afternoon, I called her to remind her that she was going to meet me for supper at the church. Not surprisingly, she had forgotten even though we had talked about it, and I had reminded her before leaving to see Dad. She can completely forget things quickly. This can be a particular problem in conversation. If we are talking about someone and a moment passes and I say, “I told him . . .” She will either look confused or ask, “Who?” Increasingly I feel the need to remind her of things, but she sometimes resents this. The biggest issue for me is the responsibility of taking care of my own affairs while increasingly being responsible for her and for Dad’s. When I go to see Dad, I frequently forget some things – for example, take him bananas but forget to leave them, get him up and take him to the dining room but forget his box of Kleenex that he likes to have with him at all times. I have mentioned before that Kate committed to preparing a new edition of our neighborhood directory. If left to her, it will never get done. What has been done so far is what I have done or done with her. She doesn’t even mention working on it now. This morning I spent an hour entering or checking information. I am going to take a little at a time and get it done on my own. She has also said she would do a city-wide directory for PEO. I put all of the information she will need to do it in a single place. I fear now that she has misplaced it. This kind of thing goes on and on, and, of course, this is only the beginning. One final comment. I am beginning to wonder if her medications are not actually helping. I say that because she is better now than I might have predicted 3 years ago. Perhaps we will have more good times ahead than I originally thought. That would be nice. At the moment, however, I am still looking at the first 6-8 months of 2014 as possibly the last great traveling moments for us. We leave for New Zealand on Feb. 11. We will also have another trip to Niagara-on-the-Lake and Chautauqua in Late June. We are also going to take Heather to New York during the summer. In addition, we will have the other grandchildren for a visit. I don’t know what our situation will be after that. I am with Dad in the hospital. I received a call from Mountain Valley at 6:00 am Friday morning saying they had discovered rectal bleeding and recommended that he go to the hospital. This morning they performed an endoscopy and discovered that he has 3 ulcers in his upper intestine. That’s good news as it can be treated with Nexium which they are doing intravenously now. He’ll probably go back to Mountain Valley on Monday. This is the second time in a week that we have taken him to the emergency room. It is on these occasions that one becomes keenly aware of the multitude of people Who are here on a daily basis. Yesterday as I took a break to call Larry, a woman in the parking lot called to me. She told me her daughter was very sick and needed a wheel chair. I went inside, got a wheel chair, went to her car and brought her in. I noticed the mother was struggling from some type of foot problem and suggested she might need a wheel chair as well. After leaving the daughter with an attendant at the check-in desk, I took another wheel chair out to the mother and brought her in. Two friends from Littleton, CO, visited us for 2 nights this week. It was good to see them. Kate enjoyed their company and was unusually talkative. She gives a fair amount of misinformation, but it doesn’t usually matter as the listeners don’t know and won’t have occasion to discover the mistakes. She continues to spend time in the yard which I have noted on several occasions is her therapy. The plants don’t complain or give suggestions and neither does anyone else. For me it does occasionally present a problem. That is usually when we are scheduled to go someplace, and she gets caught up in the yard rather than getting ready. That occurred this week as I was focusing on getting the house ready for guests. She had brought in cuttings from the yard and put them in a small vase around the sink in the laundry room. While it was a nice touch, she didn’t notice that there was dirt all around the sink. If I hadn’t specifically suggested cleaning the area, she would probably not have noticed. Recently Kate has become more sensitive about being corrected. I am having to learn not to say anything that might make her feel bad. One of my bad habits is asking, “Do you remember . . .” Because there is less and less she does remember, this is not a good thing to say. Yesterday morning about 11:15 I got a call from Mountain Valley telling me that Dad had not slept all night, had been agitated all morning, and had fallen. I got out there by noon and was able to calm him down. When I arrived, he was trying to get in another resident’s room where he said there was some blue spaghetti. Kate was with me. We distracted him and took him to a private dining room where we were able to talk. We were able to carry on a conversation; however, he was talking about things that happened the night before. Those things had not really occurred. In addition, he was seeing people and things in the room with us. At the recommendation of the director of nursing, we took him to the hospital where we spent 6 hours in the ER. They could find nothing wrong except for his delusional behavior which continued the entire time. An ambulance to him back to Mountain Valley at 10:00 pm. I called the nurse on duty, Leslie, and told her he would need a sedative in order for him to get some sleep. They did so, and he slept all night. I went out to see him after leaving the Y this morning. They said they had been unable to get him up. I told them I wasn’t surprised and to let him sleep through the morning. They are going to try to give him some lunch. To the best of my knowledge he hasn’t eaten since Wednesday night when I was with him. I know he didn’t have lunch or dinner yesterday and was missing breakfast this morning. The doctor’s diagnosis was simply that this is a part of the progression that dementia takes. I want to believe this and can accept it, but it came on so suddenly that it makes you wonder if something more specific occurred to bring it on. I do know that I see other residents on Dad’s hall that seem to have delusions, but they are at a more advanced stage of dementia than he is. I am anxious to see what he is like when he wakes up. 7. Is this blog for you?